Montgomery County, Ala. – A repeat criminal offender is facing a lengthy prison sentence after being convicted this week by a Montgomery County jury of second-degree robbery. 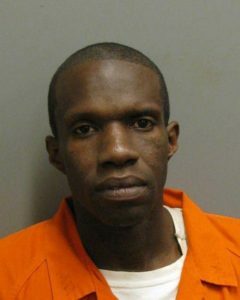 Curtis J. Williams Jr., was found guilty of robbing a store located in the 3200 block of Mobile Highway. On Nov. 14, 2017, Williams and two other men entered the store and took items without paying for them. After the store’s manager followed them out of the store, Williams turned around, showed the manager the firearm inside the waistband of his pants, and threatened to blow her brains out. After investigators identified Williams as a suspect, the victim was able to identify him in a photographic lineup. Williams, who faces 20 years to life in prison, will be sentenced on Dec. 4, 2018, by Judge James Anderson. At the time of the offense, Williams was on parole for a 20-year prison sentence he received for two robbery in the second-degree convictions in 2004. District Attorney Daryl Bailey expressed his appreciation to Deputy District Attorneys Haley Steelman and John Groos for their outstanding work. He also thanked Investigators A.A. Anderson, W.B. Dickey, and Lt. A.D. Ferguson of the Montgomery Police Department for their work in the investigation of the case.